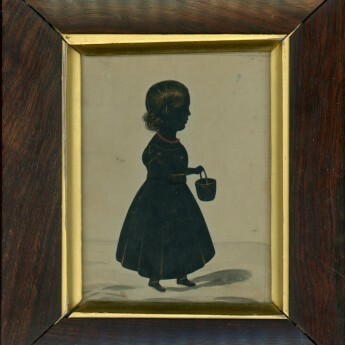 A charming cut and gilded full-length silhouette of a young girl named Anne Maria Tasker holding a little basket and wearing a short-sleeved dress and a coral beaded necklace. Children were commonly given coral necklaces in the belief that it would ward off evil spirits and keep the child in good health. 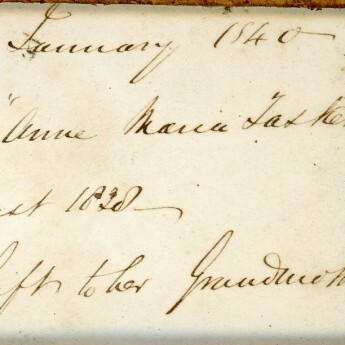 Anne Maria was the daughter of Peter Tasker, a book keeper, and his wife Elizabeth (née Abode). 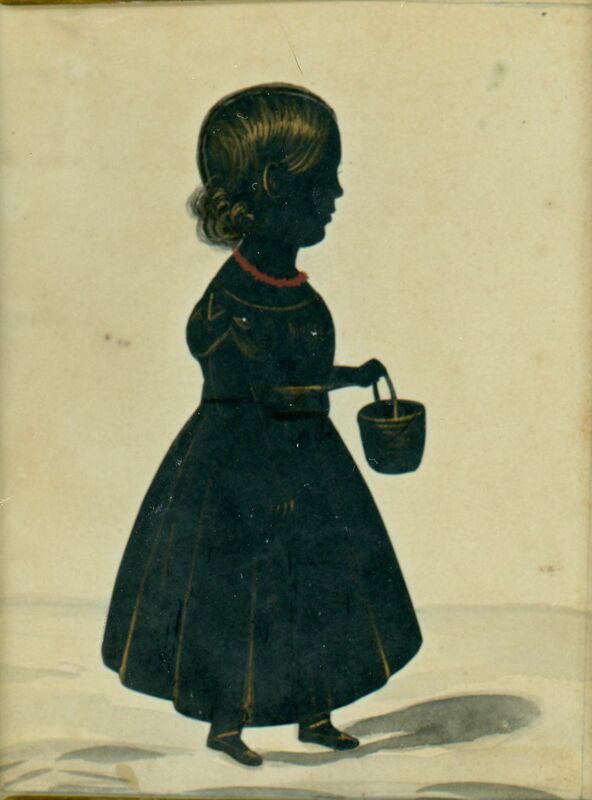 She was born on 14th August 1838 and baptised in Liverpool the following month. 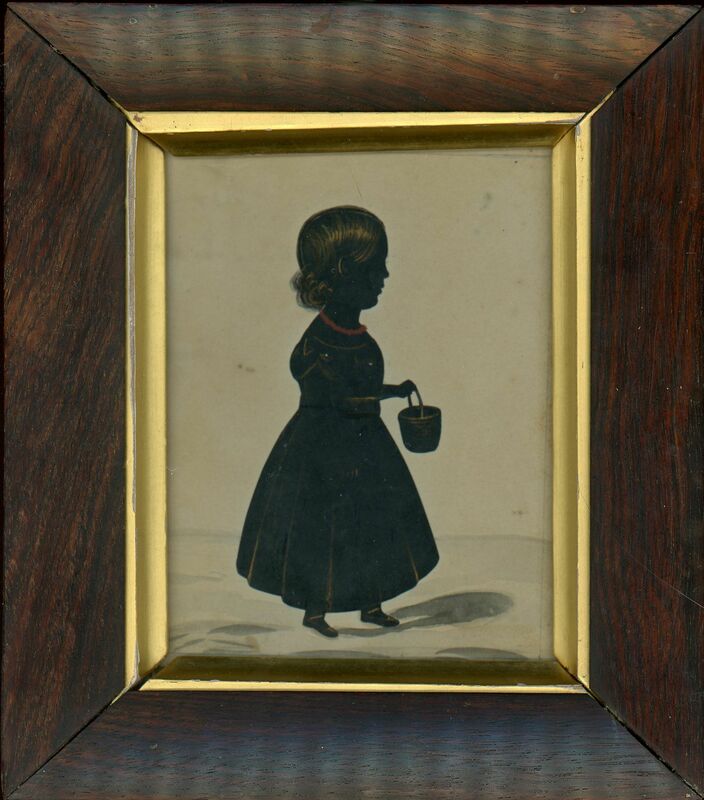 According to an inscription on the reverse, this silhouette was taken in Liverpool on 30 January 1840 when when she was just 17 months old and was a birthday gift to her Grandmother. Slight age-staining to the background card but nonetheless charming. It is set in a period rosewood frame with the backing board cut to reveal the inscription.